In this AKC Companion Animal Recovery interview, American Kennel Club spokesperson Lisa Peterson explains how this lost pet recovery service tracks missing dogs via a microchip and a GPS locator tag. Just imagine the joy of receiving a text or email that your dog has been found. So, what would you do if your dog went missing today? Would you be prepared? Many pet owners find themselves in this situation every day, but there is a way for people to increase the chance of bringing their lost pet home safely. LoveToKnow (LTK): Lisa, please tell us about the Companion Animal Recovery (CAR) program and how it works. Lisa Peterson (LP): AKC Companion Animal Recovery Corp. (AKC CAR) is the nation's largest not-for-profit pet identification and 24/7 recovery service provider. 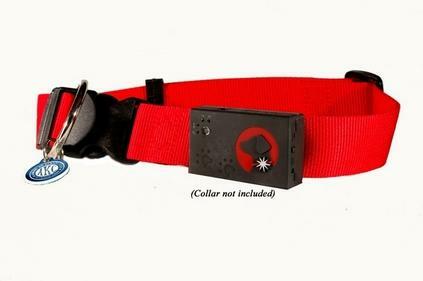 We offer microchips and collar tags to aid in identification and quick return when pets get lost. People that find pets with an AKC CAR microchip or tag can call the toll-free AKC CAR recovery line, where a specialist will alert the lost dog's owners that their pet has been found. AKC CAR has joined with Positioning Animals Worldwide to offer the Spotlight GPS Pet Locator. Activating the device enrolls a pet in the AKC CAR recovery service, and AKC CAR recovery coordinators can help pet owners locate their missing pets. LTK: It's wonderful that GPS technology is now being applied to pets. How does the AKC GPS Pet Locator work in concert with CAR? LP: The SpotLight GPS Pet Locator couples the tracking services provided through GPS technology with the nationwide pet recovery services of AKC CAR. To set it up, you simply designate your "Safe Spot" (boundaries you set for your pet's safety) from your computer by clicking on a satellite image and attach SpotLight to your dog's collar. The SpotLight GPS Pet Locator will allow you to pinpoint through Google Maps where your pet is at any time. Plus, it will send text and email alerts to the contact person listed in AKC CAR's recovery system if your pet wanders outside of its "SafeSpot." LTK: Microchipping is another tracking option. What exactly does that entail? LP: Vets insert microchips (a device the size of a grain of rice) under the skin between the dog's shoulder blades. Each microchip has a unique number associated with it. When a dog gets lost, whoever finds the dog can scan for a microchip. The scanner will be able to read the number associated with the microchip. When that microchip number is associated with a recovery service like AKC CAR, AKC CAR will be able to get in contact with the lost dog's owners to reunite them with their pet. LTK: The CAR program also helps recover dogs that have been identified with a tattoo. Do you feel that the tattooing system is as reliable as microchipping for recovery purposes, or should pet owners consider going with the newer technology? LP: Tattooing is less popular today than in the past. Tattoos can fade over time or hair can grow over them. Also, they may not be unique, depending on the system used by the tattooer. AKC CAR recommends microchips for permanent pet identification, but will still add a pet's tattoo number to the AKC CAR record. LTK: What is required for the enrollment process? LP: The AKC CAR enrollment process just requires basic information about the pet and the owner. Enrollments can be completed on our web site, www.akccar.org, or by mailing in a form. To activate a Spotlight GPS unit, the dog owner will enter the information into the Spotlight web site, and the enrollment information is transmitted to AKC CAR. LTK: There are three basic service plans that each have their own monthly service fees. Would you describe them for our readers? The lowest plan is the "Home Body" plan. It is $7.99 per month and has 25 emergency points per year. The middle plan is the "Adventurer" plan. It is $14.99 per month and has 100 emergency points per year. The highest plan is the "Escape Artist" plan. It is $19.99 per month and is unlimited. LTK: What are "event points"? Exiting SafeSpot is one event point. Overspeed (Anti-Theft) is one event point. Find/Locate is one event point. Continuous Tracking is five event points per hour. SpotLight On is one event point. Turn-by-Turn Directions is five event points per hour. LTK: Which steps should an owner take when a dog enrolled in the program goes missing? LP: Here are the steps to take if your pet gets lost. Contact AKC CAR immediately at 800-252-7894. Call your local animal shelters and notify them about your lost pet. Hang posters in your neighborhood. Protect your privacy by using the AKC CAR phone number. If you believe your dog has been stolen and it has a microchip, contact the police and file a stolen property report. LTK: Can you provide any statistics for how successful the AKC CAR program has been? LP: Since 1995, more than four million pets have been enrolled, and 380,000 pets have been reunited with their owners. Many thanks to Lisa Peterson for participating in this AKC Companion Animal Recovery interview. If you're interested in learning more, visit the American Kennel Club website for more information about their GPS Pet Locator, microchips and scanners.